Your income is important for the well-being and protection of your family. If the unforeseen and unthinkable happens, who will take care of them? Life insurance is the way to take care of your family if you can’t. You have insurance to protect your home, your cars, and your other assets, make sure you protect your ability to provide for your family if you aren’t around. we’ll help you find a policy that will give you protection and peace of mind. 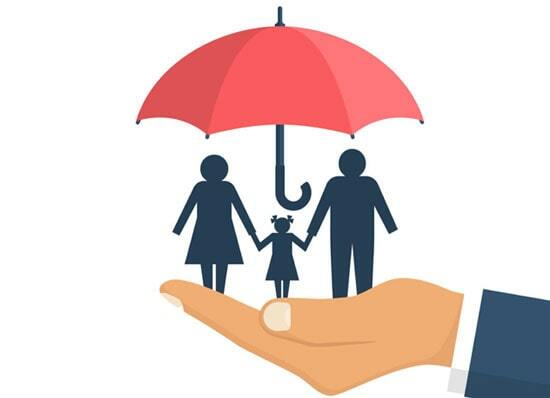 As a general rule, if you are the primary provider for your dependents (a spouse, children, or aging parents), then you should have life insurance to provide for them financially if something happens to you. Also, if you have debts that another person will have to assume, like a mortgage or student loan debts, it’s wise to have life insurance. In general terms, a term life insurance policy is only issued for a specified term of time, such as 5, 10, 15, 20 or 30 years. It only provides a death benefit if you die within in the term. It is the most affordable type of life insurance and it is easy to get. Term life insurance becomes more expensive as you age. On the other hand, a whole life policy covers you for life and provides a death benefit and also a cash value accumulation that builds over the years that you hold the policy. It is usually more expensive than a term policy and usually requires a health examination. A qualified life insurance agent can help you decide which kind of policy will be best for you and your situation. There are several ways to decide how much life insurance you should have, but one of the easiest and best ways is to do a “needs analysis” and determine how much money your dependents would need if you were no longer providing income. Think about this in terms of monthly expenses and debts, and also long-term expenses like future education costs. Many employers offer life insurance to their employees as part of a benefits package. The amount of the policy is usually a multiple of your salary, up to a limit (usually 1-3 times your salary). This may be sufficient for your needs or you may want to supplement this amount with an additional policy. You should keep in mind that if you leave your employer, this provided life insurance coverage will lapse and so it is a good idea to have a backup policy to the employer insurance. and taken care in every circumstance is important to us.